Fuzzball & Scuzzball - Drip-Drop Man Lives! Comic 291 - Drip-Drop Man Lives! 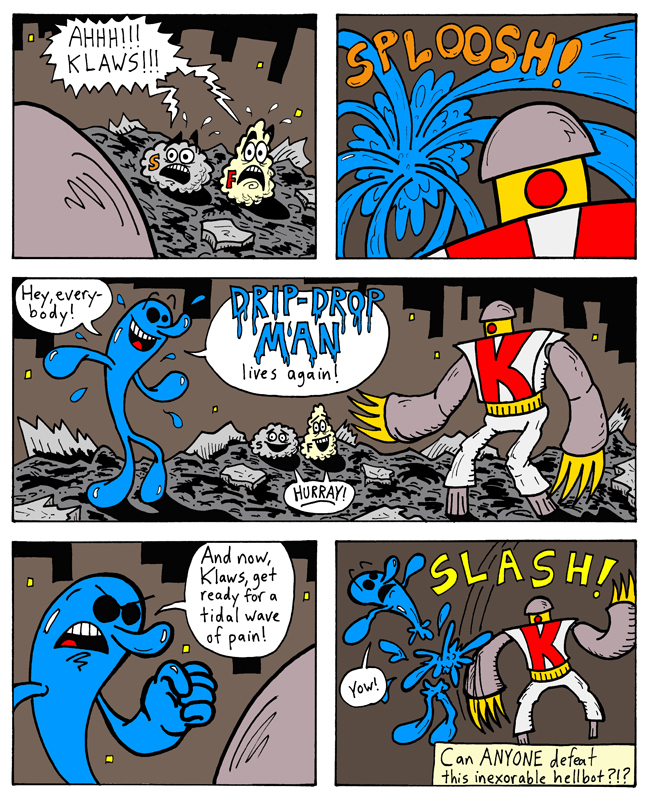 To recap: Drip-Drop Man showed up to fight Hate Frog, and they had an epic battle, which ended when Hate Frog evaporated Drip-Drop Man with his Supernova Vomit Blast. Drip-Drop Man hung out in the sky, until he rained down and wiped out the demon army. Now he's back, but it doesn't look like he's a match for Klaws. NEXT WEEK: The big finale!